Wow. Wow. Wow. 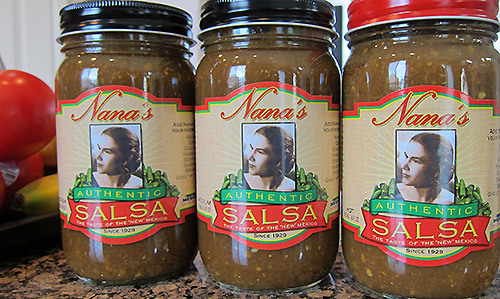 This is an absolutely fantastic and very original tasting salsa from Nana’s. The taste is kind of dark and smokey, plus the hot one has fantastic heat! Not wimpy at all! What makes this salsa so original is mostly due to the fact that it is not tomato based. It is made from picked jalapeños from Hatch, New Mexico. I’ve been to New Mexico many times and love the food there. I’m so thrilled to have tried out Nana’s salsas. They are fantastic. For more information and links on where to by, visit Nana’s website. Do it. Realty. Do it now.